At first glance you might think this is one of those lurid headlined from some tabloid publication. But it’s not. College graduates are almost literally being eaten alive by their student loan debts. In fact, it was recently reported that the average college graduate starts life owing an average of $22,700, which means many of them owe even more. This might not be a big deal for people graduating with degrees in areas such as civil engineering computer science or environmental science but it can be a very big deal for others. There is some good news if you’re graduating this year and have a subsidized Stafford/Direct Stafford Loan. It’s that you will have a six-month “grace period” before you need to begin paying interest on that loan. However, you will have to pay at least the minimum amount of $50 a month unless your lender agrees to something else. Your payment won’t be less than the amount of interest due and payable and you will need to keep on top of that interest. If not, you will end up paying what’s called capitalized interest, which is a fancy way of saying that you’ll be paying interest on your interest. While most graduates elect to just buckle down and pay off their student loan debts, there are options. In fact, it’s possible to get most of your loan forgiven – meaning that you won’t have to pay off all of it. One way to do this is through Public Service Loan Forgiveness. This is a program designed to encourage people to work full-time in public service jobs. Under this program, you would need to have made at least 120 qualifying payments on your loans while employed full-time by certain public service employers. You would then qualify for forgiveness. However, the only types of loans that qualify for this program are ones you received under the William D. Ford Federal Direct Loan program. If you received your loan through the Federal Family Education Loan Program, the Federal Perkins Loan or any other student loan program you will not be eligible for Public Service Loan Forgiveness. What kinds of jobs qualify? To qualify for Public Service Loan Forgiveness you would need to work for a federal, state or local government agency, entity or organization or a not-for-profit organization that is tax exempt. What your job is so doesn’t matter so long as you work for one of these entities. It is also possible to get all or part of your student loan canceled. You could do this by participating in Teacher Service, wherein you teach full-time in a low-income elementary or intermediate school for five years. Do this and you should be able to get as much as $17,500 of your subsidized or unsubsidized student loan debts canceled. You can get your student loan debts discharged if you become totally and permanently disabled and meet other specific requirements during a three-year conditional discharge period. To get this type of loan discharge you must have a physician’s statement that you became totally and permanently disabled after you got your loan. 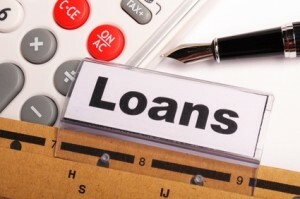 Your loan may also be canceled if it is discharged in a bankruptcy. However, this is not an automatic deal. You must prove to the bankruptcy court that repaying your loan would cause you to suffer undue hardships. You may also be able to get your loan discharged if your school closed before you were able to complete your program, if your loan was falsely certified because your identity was stolen or if your school do not pay you a refund that it owed you under its written regulations or policy. A fourth way to handle student loan debts won’t reduce the amount you owe but could make it easier for you to handle your payments. This is where you consolidate several loans into a new one. This new loan will have a longer term – meaning that you will have more time to pay back the money. However, so far as interest is concerned there is not much of a financial benefit to be gained by consolidating student loans. The reason for this is because all federal student loans have carried the same interest rate since 2006. In the past, you might have several different loans at several different interest rates so that consolidating them under a new loan could yield a better interest rate. But today, the main advantage is that you would have a longer term, which should mean lower monthly payments. Of course, there is a downside to this, which is that it will take you longer to pay back the money and it will end up costing you more in interest. As an example of this, if you were to take a 10-year student loan and stretch it out to 20 years, you will end up paying double the interest. But you would cut your monthly payment by 24%, which is certainly nothing to sneeze at. Consolidating student loan debts into a new loan can be a bit of a gamble. Once you sign for that new loan your interest rate will be locked in. You could then see interest rates drop dramatically just a few months later. As an example of this, if you were unmarried childless and had an adjusted gross income of $40,000, your monthly payments would be capped at $365. Of course, if you get a raise this would mean an increase in your monthly payments. In the event you are not able to pay off the full amount of the loan after 25 years of payments, your remaining balance would be forgiven. If you have already started repaying your loan, you could choose to switch to the income-based repayment plan. However there is an important caveat or downside. If you do this, you will restart the clock and your new loan will have a term of 25 additional years. As noted above, you might be able to get your student loan debts canceled if they are discharged in bankruptcy. This is where you must prove to the bankruptcy judge that paying your debts would cause you to suffer an undue hardship. And this is much more difficult done than said. For most bankruptcy judges to discharge student loan debts you would have to prove that paying as little as $50 a month would cause you to suffer a really serious hardship. The fact is that very, very few people are able to convince bankruptcy judges to discharge their student debts. 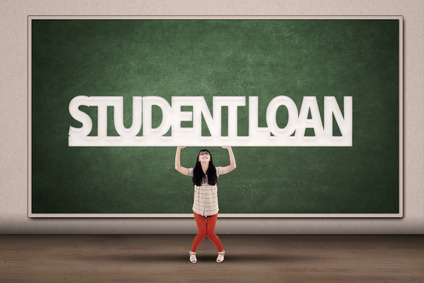 If you are struggling with your student loan debts there is a new solution, which is to contact National Debt Relief. If you do this, you will be assigned an expert debt counselor that will evaluate your finances, your employment and your outstanding federal loan debt. Following this, he or she will recommend a program designed to help you deal with those debts and then handle the preparation of all required documents. This requires a flat, one time fee but it’s totally performance-based. The fee you’re charged will be deposited into an escrow account and National Debt Relief will not take its fee until you have approved all the paperwork. In the event National Debt Relief cannot get you into a program, you will be charged nothing. After you have paid that initial, one time fee, there are no monthly maintenance fees. This is in comparison with National Debt Relief’s competitors that charge both upfront fees and monthly maintenance fees – even after the job is done.